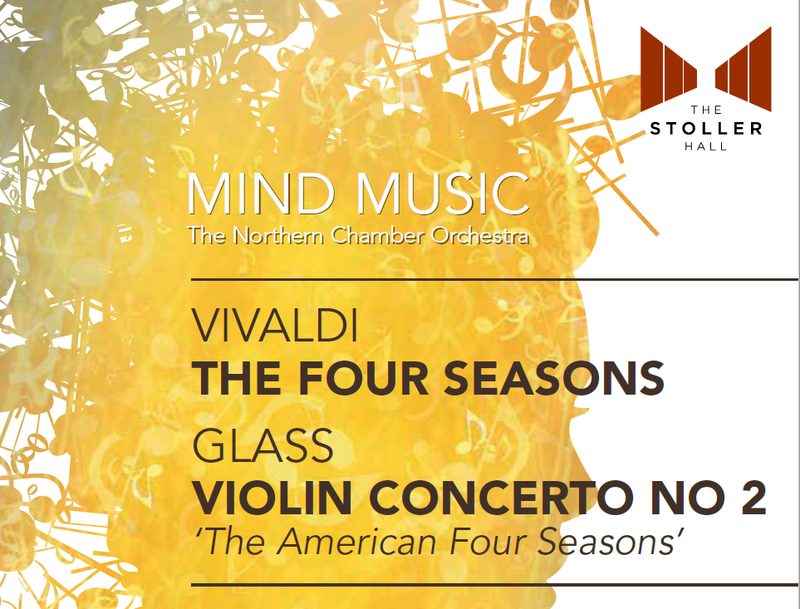 Northern Chamber Orchestra's forthcoming concert on 10 June 2017 is at Manchester's latest venue, the Stoller Hall at Chetham's School of Music. The concert is being given in aid of dementia charities, with 80% of the proceeds going to three charities, the PSP Association, Parkinson's UK and the Alzheimer's Society. The concert features violinist Chloe Hanslip performing Philip Glass's Violin Concerto No. 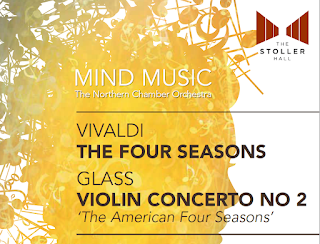 2 'The American Four Seasons' alongside Vivaldi's concertos of the same name. The poet Mike Garry is writing a new set of sonnets which he will be reciting between the movements of the Vivaldi concertos. Full details from the Stoller Hall website. The orchestra is also embarking on a programme of small concerts and workshops in care homes aimed at taking the power of live classical music to people not always able to get into concert halls and investing in the general cause that aims to help people live well with dementia. As well as offering obvious therapeutic benefits, these workshops will also provide crucial data that it is hoped will form the basis of new research into the ability of live music to actually improve and repair dementia sufferers' cognitive function.